To understand the sexual risk behavior of men with traditional male circumcision and medical male circumcision in the context of the World Health Organization’s (WHO) campaign for voluntary medical male circumcision (VMMC) scale-up, we investigated ten countries prioritized for the scale-up from the Demographic and Health Surveys. Male respondents aged 15–49 were selected. Ordinal regression was used to analyze the relationship between three sexual risk behaviors—condom use with non-cohabiting partners, number of non-cohabiting partners, and partner type—and circumcision status (traditionally circumcised before and after the VMMC scale-up, medically circumcised before and after the scale-up, and not circumcised), while controlling for social demographic covariates. 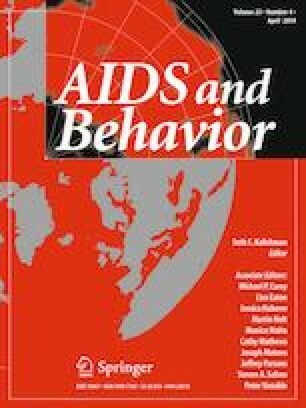 We found evidence that some sexual risky behavior, specifically lower condom use and higher number of sexual partners, was associated with traditional circumcision. This finding suggests that messages about the protective effect of male circumcision may not have reached men with traditional circumcision. We suggest that WHO’s VMMC campaign should include communities where traditional male circumcision is popular. We looked for, but did not find, evidence of differences between groups circumcised at different times, which could have indicated sexual risk compensation. The online version of this article ( https://doi.org/10.1007/s10461-019-02473-0) contains supplementary material, which is available to authorized users. The authors thank Ben Bolker for valuable assistance in statistical analyses. CS was funded by a grant from the John S. McDonnell Foundation. Solon G, Haider SJ, Wooldridge J. What are we weighting for? https://www.nber.org/papers/w18859.pdf. Accessed 5 November 2018; 2013. U.S. President’s Emergency Plan For AIDS Relief (PEPFAR) VMMC Technical Working Group, Health Communication Capacity Collaborative, ed. : Voluntary medical male circumcision in-service communication best practices guide. https://tinyurl.com/vmmc-pepfar. Accessed 6 March 2019;2017.